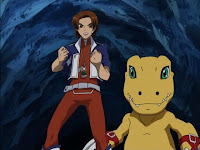 Digimon: System Restore: Data Squad Episode 04: The New Team of Thomas and Marcus! With only three characters to introduce and most of the primary evolutions debuting well before the series began, Data Squad gets to the crappy opening filler very early. 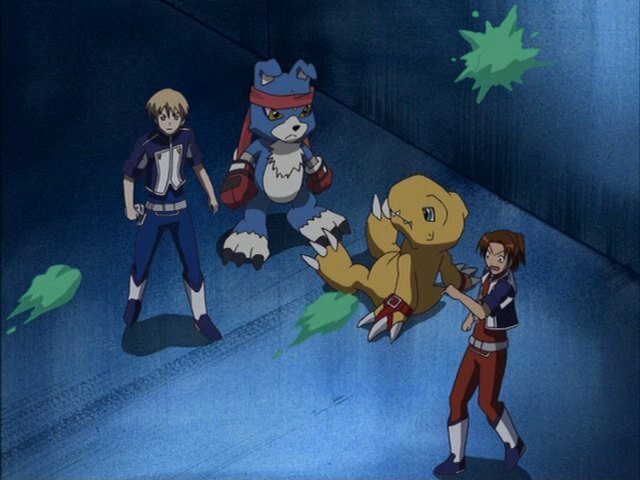 Digimon has never been renowned for cutting to the chase. Most seasons take anywhere from six to eight episodes before anything interesting happens, and that's usually followed by another string of fluff. Here we have a particularly excruciating example as not only is the story meaningless in the long term, but the only thing we can take out of it is that not only do Marcus and Thomas hate each other, but that this somehow doesn't translate to a professional working relationship either. As demonstrated by the Numemon mission, the dilemma is very simple: Thomas prefers to break down the situation and develop a foolproof strategy, while Marcus likes to charge in and attack head on. The correct approach, of course, is c) stop debating tactics; it's a freaking Numemon! Marcus's approach worked, Thomas's approach worked, but they were both so consumed with arguing over whose approach worked better that Yoshi just strolled up to it and had Lalamon take care of it. It's pathetic that these two are arguing over the best way to beat the Digimon equivalent of Glass Joe. The problem is that sending all three agents at each emergence is not only unnecessary, but the conflict of styles is a bigger issue than the lack of respect between Marcus and Thomas. Both of them have their own way of doing things, and both of them work... just not necessarily with each other. Prior to this episode, Marcus was three for four on solo missions, which is a fine record for someone so inexperienced. 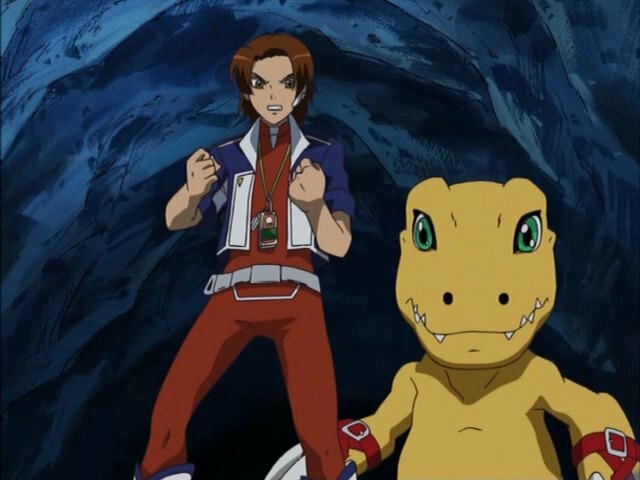 His one failure was his first try against Demimeramon, where Agumon was at an elemental disadvantage and the job was better suited for Yoshi and Lalamon. Marcus hasn't been at this long, and rather than letting him perfect his style at his own pace, he's being thrown into conditions that are forcing him to conform to a method he's not comfortable with. Thomas, meanwhile, has an arsenal of perfected tactics with Gaomon, but is being forced to incorporate Marcus into them on the fly. What all this adds up to is that Commander Sampson is terrible at his job. Forcing two incompatible styles together just for the sake of forcing the two to get along ruins them both. It's unfair to Thomas to command him to treat Marcus as an equal partner; Thomas has earned a position of superiority. At the same time, it's unfair to expect Marcus to do it Thomas's way. Marcus should be allowed to fly solo for a while, slowly building up his credentials and earning Thomas's respect. Eventually, Marcus should be given more difficult missions that aren't suited for his style, giving him better appreciation for the more tactical approach Thomas prefers. Expecting them to get along now is naive and dangerous, especially when his only direction is that they should figure it out themselves. Kudamon only makes it worse by exaggerating the significance of their failure. 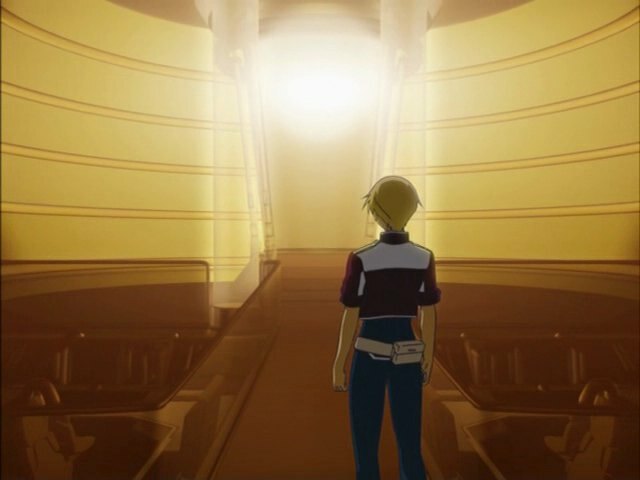 The Drimogemon debacle was certainly an embarrassment, but it was hardly a disaster. Yoshi still caught the robbers and Drimogemon retreated back to the Digital World. Kudamon makes it sound that Drimogemon still being alive is some sort of travesty, fearing that he'll raise an army and strike again. This ignores the fact that Drimogemon was frightened, gullible, tried to run away from the fighting and is clearly more of a follower than a leader. Both Marcus and Thomas refuse to accept failure and Sampson is trying to add injury to insult. 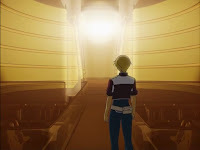 It's no surprise that Thomas sneaks into the Digital World to go after Drimogemon, which is a pretty drastic move to punish the Digimon equivalent of Johnny Five in Short Circuit 2. Somehow the Numemon seems less disgusting with a slug-like trail and the way it throws slime instead of crap. It's still gross, but it feels more natural and less cartoony than its portrayal in Adventure. It's amusing and very natural for Sarah and Kristy to be friendly to Thomas. Thomas's melancholy reaction at the family seems slightly off considering both families are missing a parent and there's no shortage of love between him and his sister. Had he even specified that he missed his mother in particular, it makes more sense. Does DATS not understand that Marcus is just a middle school student? It's natural for him to be late due to family obligations (or his efforts to dodge them) and scolding him as a result seems unfair. Thomas even delivers a very premature “not just a game” speech. At the same time, it was awfully stupid of Marcus to just randomly push buttons at the computer terminal? If he doesn't know what he's doing, why would he do that? Agumon seemed far bigger in the car than he usually does. Even with him in there, it shouldn't be that cramped. If it was stupid of Marcus to be randomly pushing buttons at the computer terminal, why wasn't Yoshi during the night shift? It would be awfully draconian to expect her to be on guard but not let her check her e-mail.